IPL 2019 CSK vs KKR: Ravindra Jadeja, Suresh Raina, Imran Tahir star as Chennai beat Kolkata by 5 wickets: Chennai Super Kings (CSK) beat Kolkata Knight Riders (KKR) in the Indian Premier League (IPL) at Eden Gardens. Rabindra Jadeja, Suresh Raina and Imran Tahir helped the team to thrash Kolkata. It was Kolkata's third consecutive defeat in the Vivo IPL 2019. Chennai have won seven matches out of eight so far in the series. 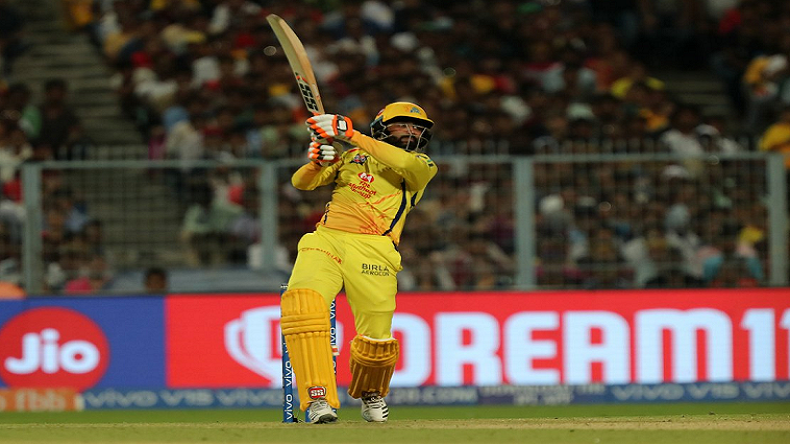 IPL 2019 CSK vs KKR: Ravindra Jadeja, Suresh Raina, Imran Tahir star as Chennai beat Kolkata by 5 wickets: Chennai Super Kings have registered seventh win the Vivo IPL 2019 by defeating Kolkata Knight Riders at Eden Gardens. It was the brilliant performance of Ravindra Jadeja in the death overs that helped CSK to clinch the victory. He scored 31 of 17 balls with smacking five boundaries. Suresh Raina also played a match-winning half-century. While chasing down the target, Chennai lost Shane Watson early in the fourth over. He only made six runs. The second wicket fell for 44 when Faf du Plessis was clean bowled by Sunil Narine. After brief intervals, three more wickets fell. The score was 121 when the fifth wicket was dismissed. After that Suresh Raina and Ravindra Jadeja took the charge and led their team to victory. Chennai needed 24 off 12 balls. Ravindra Jadeja smashed three consecutive boundaries off Gurney in the penultimate over. The score went down to eight off six balls. Chennai chased the score with 2 deliveries to spare. For Kolkata, Piyush Chawla picked two wickets, Sunil Narine also bowled two Chennai batsmen and Harry Gurney claimed one wicket. After invited to bat first, Kolkata was restricted to 161 for the loss of 8 wickets. The first wicket of KKR fell for 38 when Sunil Narine was dismissed by Mitchell Santner. Kolkata lost the second wicket for 79 and third for 80. Nitish Rana scored 21 of 18 balls while Robin Uthappa was dismissed without troubling the scorer. Chris Lynn was the fourth victim who made 82 off 51 balls. Without Lynn, no other KKR batsman could go beyond 21. Dinesh Karthik made 18, Shubman Gill scored 15. All-rounder Andre Russell could not entertain the spectators as he was dismissed for 10 runs. For Chennai, Imran Tahir claimed four wickets, Shardul Thakur took two and Mitchell Santner picked one.